Astrophysicists from the Universities of Oxford and Rome have for the first time found evidence of ripples in the Universe's primordial sea of neutrinos, confirming the predictions of both Big Bang theory and the Standard Model of particle physics. Although it is impossible to measure this "Cosmic Neutrino Background" directly with present-day technology, physicists predict that ripples or waves in it have an impact on the growth of structures in the Universe. In research to be published in the journal Physical Review Letters, Dr. Roberto Trotta, Lockyer Fellow of the Royal Astronomical Society at Oxford's Department of Physics, and Dr. Alessandro Melchiorri of La Sapienza University in Rome were able to demonstrate for the first time the existence of ripples of primordial origin in the Cosmic Neutrino Background. 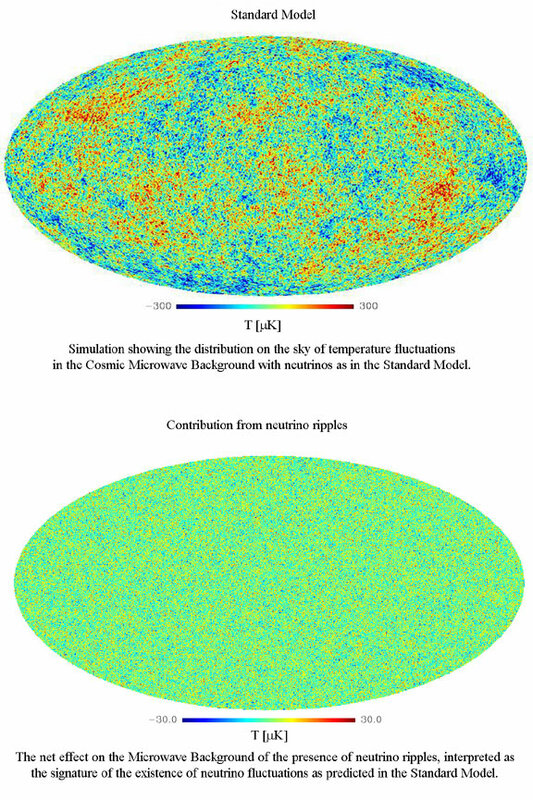 Dr. Trotta said: "This research provides important new evidence in favour of the current cosmological model, unifying it with fundamental physics theories. Cosmology is becoming a more and more powerful laboratory where physics not easily accessible on Earth can be tested and verified. The high quality of recent cosmological data allows us to investigate neutrinos in the cosmological framework, obtaining measurements which are competitive with -- if not superior to -- particle accelerator findings." University of Oxford, Astrophysics Dept.